Shipping large items or products? Through air and ocean, Sky2C Freight Systems Inc. will take care of all your commercial and personal cargo being shipped to China. Sky2C offers an array of services designed to create a safe, convenient, and orderly way to get your stuff from Point A to Point B. With Sky2C, you can get a free quote on the items you want to ship as well as pack, store, and ship your items for international travel, so you can worry less about getting your items and goods to China and spend more time relaxing that your items are in safe hands with Sky2C. Let Sky2C lighten your load with our great customer service, free quote, numerous ports, and increasing popularity with both businesses and individuals. Sky2C is for anyone and anything. Is Air or Sea for Me? 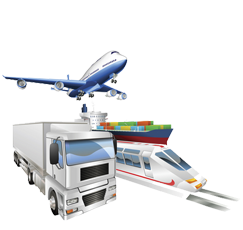 If your items are traveling by air or sea, it is important to know which are preferred on each method of transportation. This is to give you and idea on which way your items might be traveling, but this will be talked about in further details once you are ready to start the process (sign up now for a free quote). Air exporters reimburse any damaged or lost items during travels. Lighter items are preferred for Air exports due to the increasing cost as the weight of your items increases. It’s fast and easy, and great for any business’s shipping needs! -Transportation of single commodity and high volume loads for example, grain, coal, ores etc. -Gas or liquid cargo such as CNG, gasoline and bulk liquids. Costs of items depend on weight, size, and volume as well as distance between the two ports. This mode of transportation is preferred for heavier and larger items. This is an eco-friendly way to get your business moving, reduce a company’s carbon footprint, and improve brand image. Because ocean travel is more time consuming than air, exporting bulky items with no time restrictions is the most effective way to budget your time and money.